"What you don´t die of..."
This website is now updated and supports secure connections with HTTPs and SSl certificates. Took only 1 day to repair it. 2 years ago I was hit by an accident which damaged my gullet and ability to swallow my food, and since that day in August 2016 I have tryed eating liquid food. Each meal has been very painfull. I felt no progress at all during the 2 years the other day, when I visited my meditrician at the hospital for control. The occasion was that about 3 weeks ago I was acute hospitalized because I felt some food had fixed itself in my gullet, which has felt paralyzed, "dead meat"- feeling in my gullet ever since that damned accident 2 years ago. It feels like being choked in the food and drowning in liquids as milk, water and cold thea. I experience this almost 2-3 times each week for 1-2 days, and every time I feel like I have ran a marathon when it is over. I am exhausted each time it happens. I feel exhausted all the time. But this time I just didn´t have the strength or energy to loosen it myself, and everything I ate liquid food or water, it came up again. So after 2 days I got hospitalized, got some water drop, examined and after 3 days more almost without food or drinking sent home with the answer that this handicap is impossible to treat, simply because no treatement has been developed for this diagnosis dued to lack of scientific research. "Ineffective Oesophageal Motility," which as far as I was told less than 3 persons in Denmark have. 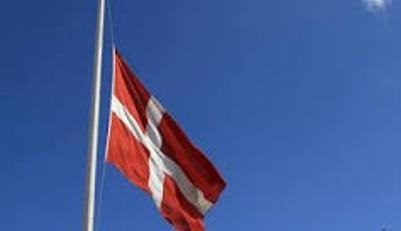 Meaning that there are no big patient organizations in Denmark to care of my rights or to get help from. Therefore, I have a politically unimportent handicap / illness when we are so few patients, meaning that people with this illness at the end of their lives are hospitalized maybe even for years with a stomach tube being layed like vegetables kept alive when they have become too skinny. Luckily for me, I have never been "a Twiggy" girl, and as a former slim plus size model with a normal relation to food, I think there will become 13 months in a year before a stomach tube will be actual for me. My but is too fat. I don´t look like a concentration camp prisoner, but dued to the pains I have when I eat, I have lost my former natural hunger feeling and thirst feeling and the joy of eating together with other people. I eat to survive. Not for anything else. I only eat what I need to eat. I each day put food and water in my mouth, trying to swallow over and over again, hoping it will pass down though it hurts. If you do that, it is because you want to have a life. You want your life back. I want my life back. Period! I and everybody around me shall "learn to live" with my new situation and cronically invisible handicap which has smashed my flowering artistically career, a great one as a professional international multi-faceted artist which I have built up the last 9 years, since July 1st 2009. Please, read these words above and learn them! Right now, I just can´t see any way out of my situation. Can you? I think I can use this part of my personality which gave me this splended artistically career to try to get better, but I will never be able to travel outside Denmark again, because no hotels or restaurants make the liquid food I need, and when I am at an exhibition travel I have no time for shopping food ingredients at the markets or making the many small meals during the day I need in order to keep up my weight. Also, I cannot be entertaining or networking at a biennale or other juried exhibitions from 10 Am to 10 PM for 5-10 days selling my art, if I don´t get anything to eat or drink at all on the trip. So for the last months I havén´t been sending out artworks for juries, though you have continued sending me opportunities and great calls. Even calls for art awards I have missed. Thank you. Dued to my health I have almost stopped creating art on paper, cardboard or canvas for the time being. No new artworks for this website have been finished for months, because I spend my meagre working time to finish creating furniture crafts, ceilings paintings, wall paintings and restoring the apartment where the accident happened. We might put it up for sale some day. The last year I have worked on restoring our new apartment which we bought in Sept 2017. We plan to move into it, trying to built up a new life away from the bad memories. We need that. I love creating furniture craft, and renovate these apartments in my own pace without stressing, but my united art production and sale on movable medias is now lower than 5% from what it was before the accident, simply because I have to prioriate myself, my health and keep up my weight in order not to get a stomach tube. I take this lonely fight all by myself, I feel, because I have no other choises, when this handicap is not socially accepted. Hostesses still think that if they make some delicious food and put it in front of my nose I will get hungry enough to eat it. They don´t understand that I am physically unable of swallowing their very well-smelling, well-tasting and well-looking food, and it makes me very sad. Contrary to a lot of other oesophagus patients I still feel, have a life worth to fighting for: I have no cancer. I don´t smoke. I don´t drink alchohol. I don´t use drugs. People around me who loves me. A lot of ideas I want to realize, etc... But I also have an oesophagus handicap which makes it impossibe for me to spend money on going out on restaurants, go on vacations, or having a normal social life.
" What you don´t die from will make you stronger." These "clever" words seems meaningless for me. These people don´t know what they are talking about. They haven´t been trying to force themselves to eat with my painful oesophagus for 2 years and without any progress or treatment opportunities. A lot of them wouldn´t be able to do it, not even for 1 day. Each time my hard fate hits me I feel weaker and more fragile. If you don´t die from this it is because you have an inner strenght, which keeps you alive and going on. Because nobody else helps you. Not if you are me.